Three Korean-trained horses have been nominated to run in the Korea Racing Authority Cup at Kranji Racecourse in Singapore on Sunday July 26. In what is set to be a quite historic occasion, the race will mark not only the first time Korean horses have run in Singapore but also the first time that an overseas race will be beamed back live to racecourses in Korea. The KRA Trophy will be run over 1200M on the Kranji Polytrack with a prize fund of S$250,000. Crucially, only Singapore horses with an MRA rating no higher than 90 are eligible and this could make for an interesting race. Busan’s top trainer Kim Young Kwan will send two horses. The best known is his 2013 Grand Prix Stakes winner and 2014 Queens’ Tour champion mare Gamdonguibada. The other is the 2014 Busan Metropolitan City Mayor’s Cup winner Nobody Catch Me. From Seoul, trainer Seo In Seok sends his up and coming colt Cheon Gu. Gamdonguibada (USA) [Werblin – Radyla (Country Pine)] 6yo mare (28/13/4/6/1/1) – She won the Grand Prix Stakes in 2013 and has gone on to become one of the most successful fillies or mares ever to race in Korea. In addition to the Grand Prix, she has won the the Gyeongnam Governor’s Cup twice, the KNN Cup and the Ttukseom Cup on the way to earning more than KRW 2 Billion in prize money. After completing a clean sweep of the Queens’ Tour races in 2014, she was expected to retire but returned as a 6-year-old and won her most recent race on May 17. She hasn’t run at such short a distance as 1200M since she was a 2-year-old in 2011. Lim Sung Sil is expected to ride her at Kranji. Nobody Catch Me (USA) [With Distinction – Nana’s Babe (Allen’s Prospect)] 5yo gelding (20/6/4/2/0/0) – The wildcard. 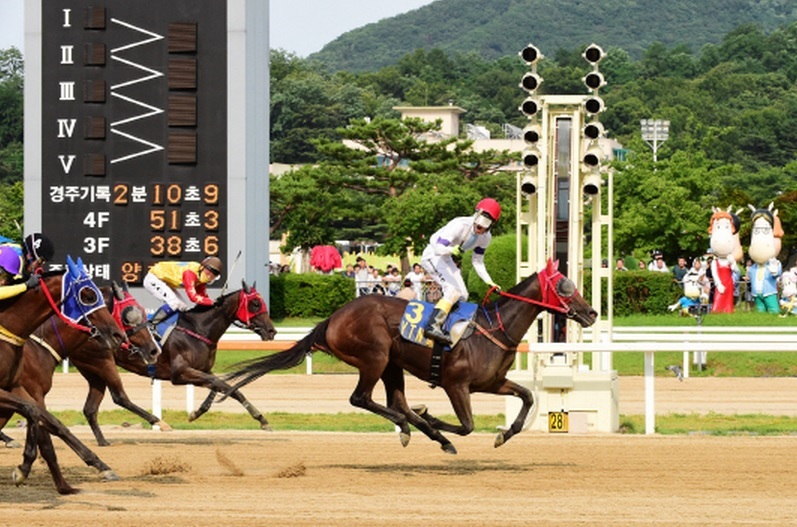 He was the winner of the Busan Mayor’s Cup last year at odds of over 50/1 and added one win after that but was a disappointment – and eventual disqualification – from the Grand Prix Stakes last year. He’s only run twice in 2015 and has struggled. However, he may well appreciate running at a sprint distance once more. Cheon Gu (USA) [Old Fashioned – So Much Fun (Speightstown)] 3yo colt (6/4/1/1/0/0) – The only one of the three to be based at Seoul Racecourse and the only one who still looks yet to reach his full potential, Cheon Gu has won four of his six starts to date. He was beaten in his only Stakes race when second in the Herald Business Cup over 1400M in May but returned to the winner’s circle in a class 2 race at the same distance last week and is considered one of the brightest imported prospects at Seoul. Yoo Seung Wan is expected to ride him in Singapore. Cheon Gu will carry 54.5kg, Nobody Catch Me 57.5kg and Gamdonguibada 56kg. While the Korean horses had to be nominated by Monday this week, Singapore based horses have until July 15 to enter the race. The KRA Trophy will come under orders at 17:15 Singapore time and will be shown live at Seoul and Busan Racecourses during the normal raceday broadcast. No betting markets will be offered in Korea – the law needs to change before that can happen – nevertheless, having permission granted for it is a big step in the right direction. 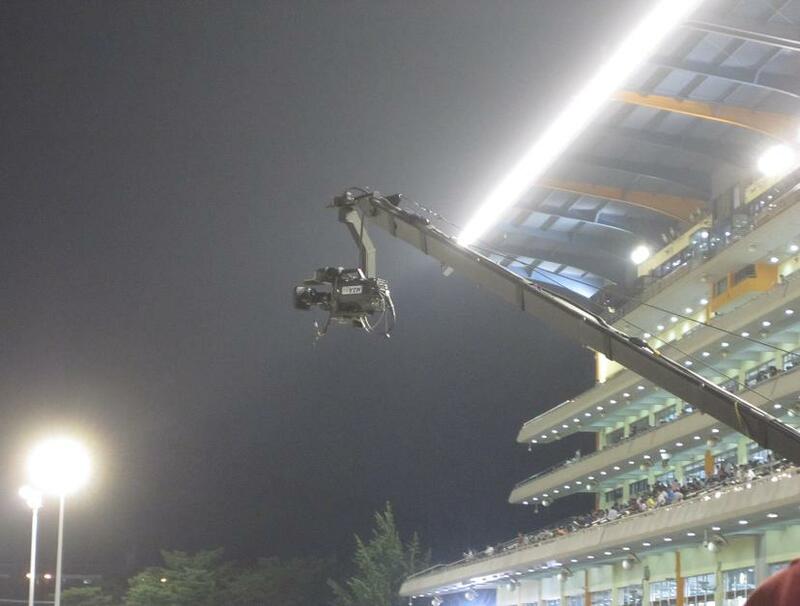 The Singapore Turf Club has been a great friend of Korean racing in recent years and it is fitting that Kranji hosts the first race to be beamed back. The history of Korean-trained horses racing abroad is extremely brief. Watts Village pulled off a remarkable victory in the Interaction Cup in Japan in 2013 but the following year, the three Korean horses who went fared less well. Meanwhile, Singapore trained El Padrino came to Seoul last August and broke the track record for 1400M in the process of winning the Asia Challenge Cup. While it remains to be seen what kind of line-up Singapore puts out, the horses nominated from Korea have every chance of acquitting themselves well. Whatever happens, it will be an important milestone in the internationalization of Korean racing. After three successful years, Japanese jockey Kanichiro “Joe” Fujii has left Korea to take up a new challenge and fulfill a long-standing ambition to ride in his native Japan. Fujii joined Busan Racecourse from Australia in June 2012 and he quickly made an impact, winning on his very first ride. 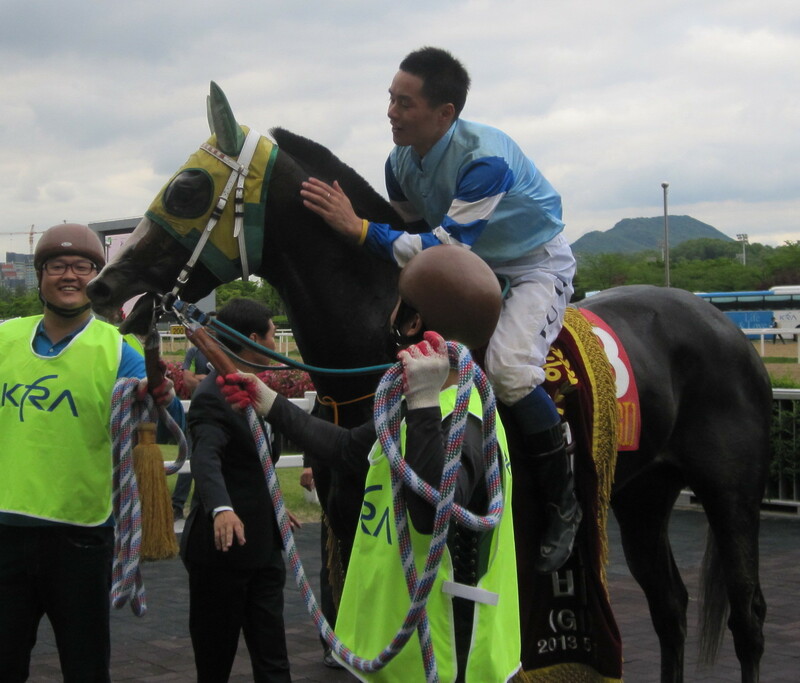 The Japanese jockey proved popular and continued to ride regular winners throughout the summer and autumn and in November 2012, Fujii claimed his first Korean Stakes victory, partnering Gamdonguibada to triumph in the Gyeongnam Governor’s Cup. He would team up with the same filly again in the nation’s most prestigious race, the Grand Prix Stakes, at Seoul Racecourse the following month. In guiding her to victory once more, Fujii became the first foreign jockey to win the Grand Prix. After the race, he took the filly back down in front of the grandstand to show the racing public. It was something that hadn’t been done in Korea before but something the local jockeys would quickly start to copy after a big race win. Fujii didn’t have to wait long to do it again. In May 2013, he returned to Seoul and on board another filly, Speedy First, he became the first foreign jockey to win the Korean Derby. Speedy First would unseat Fujii in the opening stages of the Gyeongnam Do Min Ilbo in July but the following month, the pair re-united to claim victory in the Korean Oaks. Naturally, in victory Fujii was the first foreign jockey to win that particular race too. Two major wins would follow in the first half of 2014. 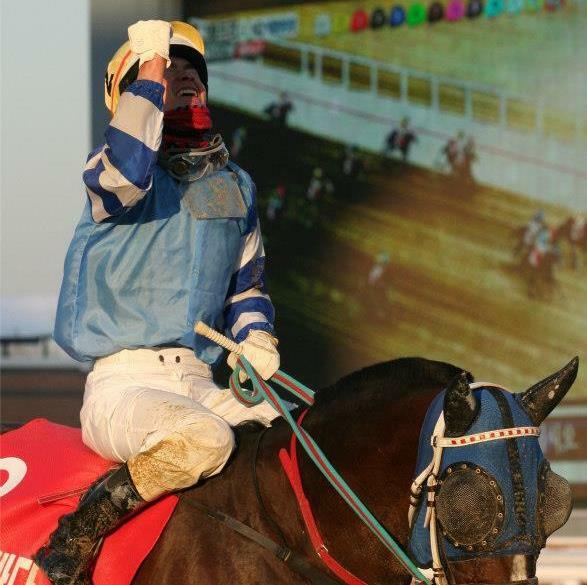 While Gamdonguibada had been unsuccessful in her attempt to defend the Grand Prix in 2013 and another jockey had ridden her to win the first leg of the Queens’ Tour, the Ttukseom Cup at Seoul, Fujii would be restored to the ride for the KNN Cup at Busan in early March and they would go on to win by eleven lengths. 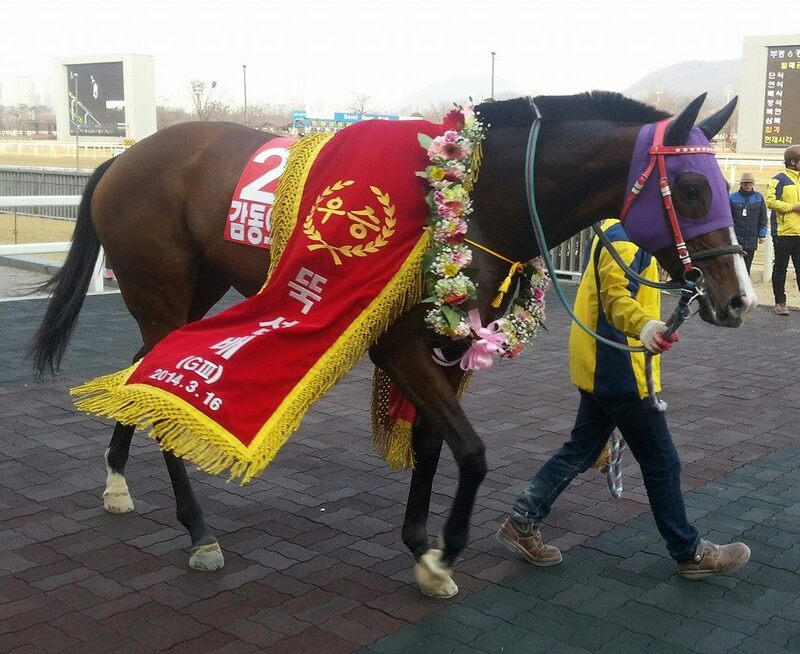 Three weeks later, Fujii went up to Seoul and partnered Magic Dancer to success in the Jeju Governor’s Cup. 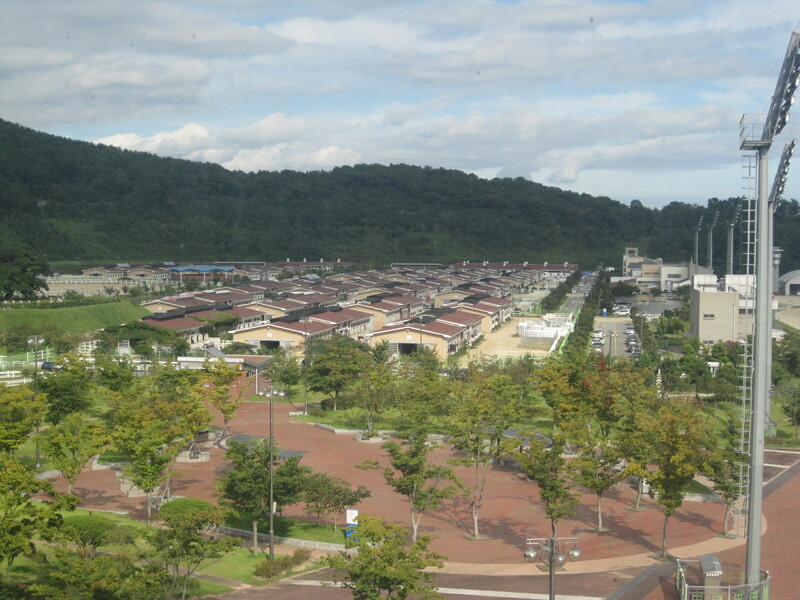 Just a week later, however, would be the start of what would be a challenging final year in Korea for Fujii. A broken shoulder suffered in an accident coming out of the gates in a race last July resulted in a broken shoulder which would ultimately keep him out until December. During his time out, Fujii embarked on a mini-tour of the racing world, taking in Hong Kong, France, the UK and his native Japan and was also to be seen watching races in Seoul. He returned characteristically with a winner in December and once more was a regular visitor to the winner’s circle even though he perhaps wasn’t getting the same caliber of mounts on as regular a basis as he was before his fall. Fujii then became the victim of circumstance when his saddle accidentally slipped when riding the odds-on favourite in a race at Busan. Unfortunately, it came just one week after rioting punters at Seoul extracted a payout of bets placed on a disqualified winner who had weighed in light. Opportunists at Busan decided to try the same thing and the rest of the card was cancelled. With the government having lost revenue on four races in the space of two weeks, a police investigation was ordered as well as a public audit of the Korea Racing Authority, which is a government organisation. There was never any case for anyone to answer on a saddle accidentally slipping but the audit and investigation meant it was over a month of uncertainty for Fujii before the KRA was in a position to be able to issue the lightest possible sanction to the jockey (a “reprimand”) and a fine for the Trainer. Fujii continued riding and received a hugely positive reception from punters when in Seoul for the Korean Derby in May. Although a Busan jockey, it was at Seoul where Fujii’s biggest race wins came and it was perhaps fitting that his final triumph in Korea – for now – would be in the capital city. And it was another historic occasion. Esmeraldina was the first JRA horse to run in Korea in what was the first International Open race to be run in Seoul, the Ttukseom Cup. Connections could have brought over their own jockey from Japan yet despite the trainer never having met Fujii before, they decided that he would be their man. They were proved right with Fujii delivering a clinical ride as Esmeraldina cruised to victory and once again, the jockey was able to parade in front of the Seoul grandstand a winner. As it turned out, Esmeraldina was his final winner in Korea this time around. A magnificent ambassador for the sport, he has won more races than any other foreign jockey in this country, more even than the great Toshio Uchida. Hugely popular with connections, the Korean racing media, administrators and stewards and even the majority of local jockeys, he will be missed. Joe Fujii will be riding in Hokkaido for the foreseeable future. He will surely be successful and it is very much hoped that we see him back in the Seoul or Busan winner’s circle one day soon. 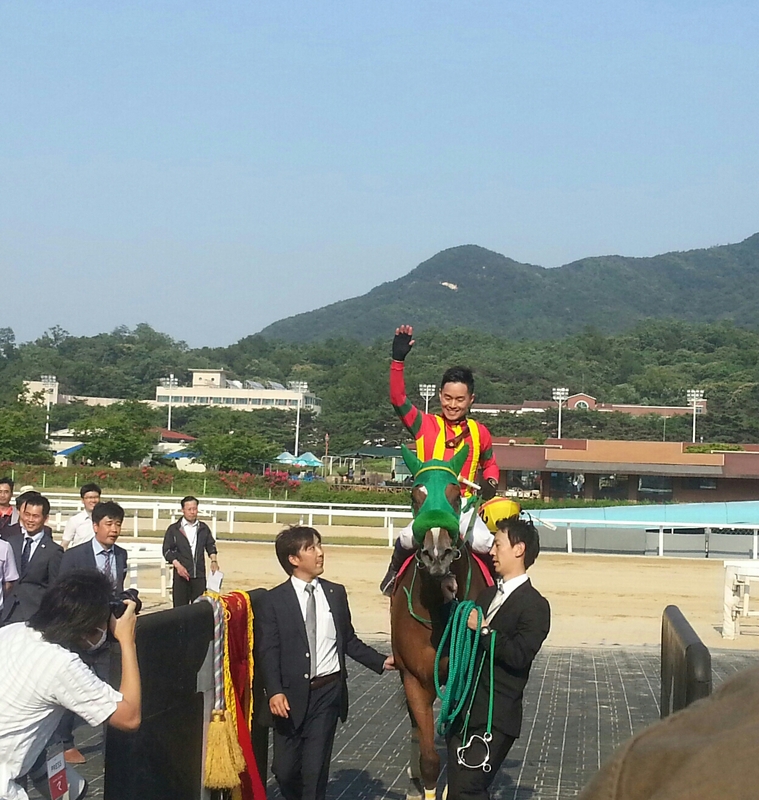 Areumdaundonghaeng closed in style to win the YTN Cup at Seoul Racecourse this afternoon. Jangmi Eondeok was sent off as the favourite but it was Real Ten who would set the early pace. He faded as Mani Income hit the front with a furlong left to run but it was Areumdaundonghaeng, the 3/1 second favourite and carrying the lightest weight in the field who was the stronger, coming through under Song Jae Chul and winning going away. 19/1 chance Cheonjeok got the best of a three-way photograph for 2nd beating out Mani Income and K Ascending by a neck with Jangmi Eondeok a further nose back in 5th. Areumdaundonghaeng was a $33,000 purchase from the Fasig Tipton 2014 Mid-Atlantic Two-Year-Olds sale last May. Today was her 4th win on her 8th career start. For jockey Song Jae Chul it was a first big race win since he gained his appremtice license two years ago and he celebrated as such as he crossed the line, perhaps mindful that the YTN TV cameras were on him. * In other news at Seoul the long awaited return of Wonder Bolt, 2nd in both the Asia Challenge Cup and the Grand Prix Stakes last year was an anti-climax. He was sent off as the favourite for the class 1 race 10 ahead of Magic Dancer, who was making his first appearance in the capital since permanently relocating from Busan. Neither shined though and instead it was Persia Wangja (Ghostzapper) who took the honours, beating out Ganghae by a neck. 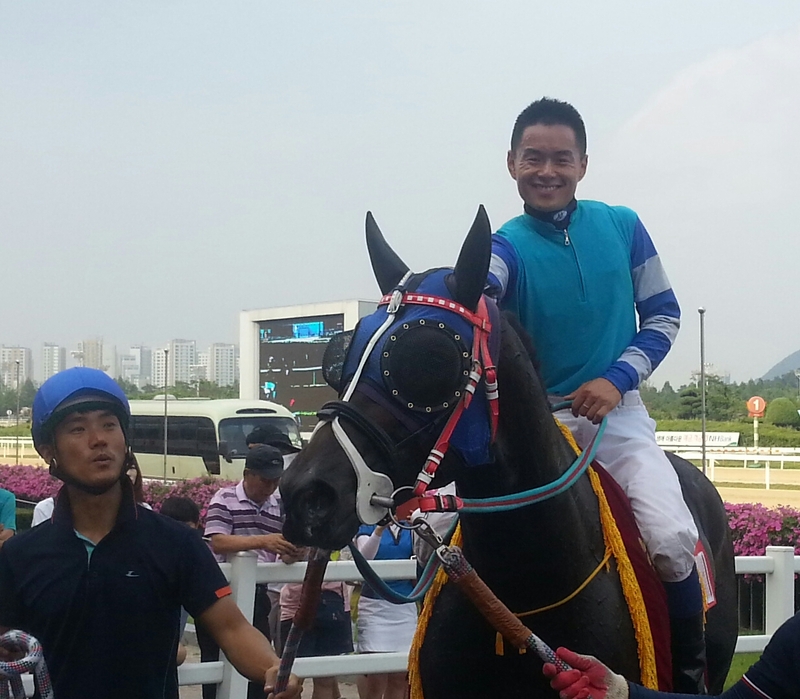 Gumanseok was in 3rd with Wonder Bolt trailing home in 4th. Next week the focus shifts to Busan and one of the highlights of the summer schedule, The Busan Metropolitan City Mayor’s Cup. It has been a long time coming but finally the hard work paid off for Jarred Samuel at Seoul Racecourse this afternoon as he rode his first Korean winner. It was his 102nd ride. The 27-year-old South African has certainly been keeping busy since arriving in Seoul in April getting on plenty of horses. However, none of them have ever looked to be potential winners. The same could have been said about Raon Rusa (Pico Central). The filly won three of her first four starts and was second in another but came into race 7 this afternoon a 15/1 chance following a disappointing performance last month. Samuel would not be denied this time though. Always handy, he brought Raon Rusa through in the home straight to overtake tiring leader Super Plucky and held off the Djordje Perovic ridden Ssen Sky by a length on the line for a foreign jockey one-two. Hopefully it’s the first of many for the ever-positive jockey. The YTN Cup at Seoul headlines what is an otherwise quiet week in between Busan’s two biggest events of the year; last week’s Oaks and next week’s Mayor’s Cup. Sunday’s YTN Cup has attracted eleven runners and is the highlight of a ten-race card. 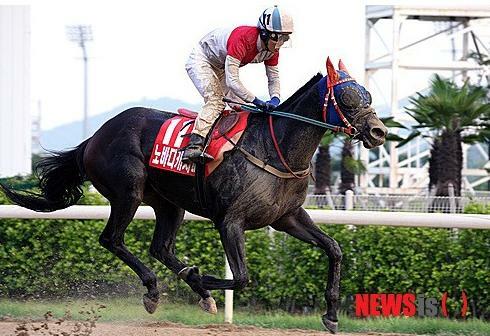 Saturday at Seoul also sees a named race as the course pays tribute to “Korean Warhorse” Sgt. Reckless on the the 65 anniversary of the outbreak of the Korean war. There is a new trainer from overseas at Busan Racecourse. Thomas Gillespie was granted a license effective from the beginning of June and is gradually building his stable up. A native of Ireland, Gillespie has been training in his own right since 2010 in Malaysia after a spell as an assistant in Singapore. He arrives with a solid reputation. His father Declan, who was his assistant in Malaysia, will be familiar to Irish and British racing fans as he was a successful jockey. Gillespie has received early support from owner Lee Won Tae, who has already sent three to his barn while Pegasus Stables have also supplied one. Thomas Gillespie has been allocated stable number 8 and joins Peter Wolsley and Bart Rice, both also at Busan, as the only foreign trainers in Korean racing. The 33-year-old Gillespie will have the distinction of being the youngest trainer in Korea. In other licensing news, several young jockeys have been newly apprenticed at both Seoul and Busan. There are five at Seoul and three at Busan and interestingly, the new jockeys for Busan are younger than than they are in the capital and closer in age to what one would expect of a newly apprenticed rider elsewhere in the world. The quality of young apprentices coming through has been getting higher year on year so it will be interesting to see how they go. Jangpung Parang led out of the gate and all the way around to dominate the 16th running of the Korean Oaks at Busan Racecourse this afternoon. As expected there were plenty who were looking to get towards the front early but Kim Yong Geun got Jangpung Parang, who was sent off as fourth-favourite, away well to lead into the first turn with Queen Two Hearts and Dangdae Cheonha in close attendance. That is how it would remain until the field turned for home. Dangdae Cheonha faded away while favourite Meni Money came through with her expected late run. It was to no avail though as Jangpung Parang had already kicked on to an unassailable lead, giving jockey Kim the luxury of easing slightly as they approached the line. Meni Money would get to within five lengths with Queen Two Hearts a further couple behind. Hot Commend closed strongly to claim 4th place with Smart Time claiming the final prize-money spot in 5th. Outsider Purple Ocean was 6th while the well-fancied Jibong Sarang was the disappointment of the race in 7th. It was a third consecutive Oaks win for trainer Kim Young Kwan following Speedy First in 2013 and Queen’s Blade last year. 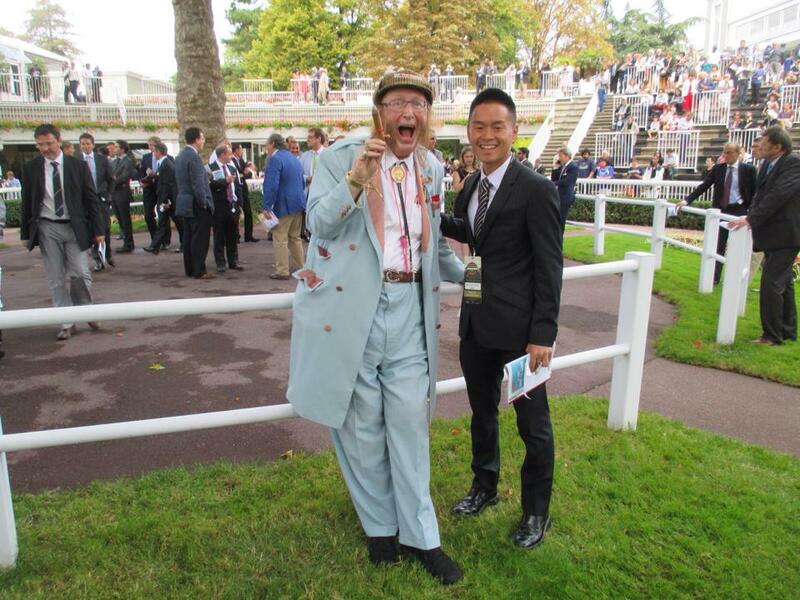 Jockey Kim Yong Geun also partnered Queen’s Blade and was winning his second Oaks. Jangpung Parang is by Creek Cat, who passed away in 2012. It broke Menifee’s four-year winning streak in the event. She is out of the Canadian-bred mare Ascend The Throne (Silver Charm) who was unraced and was purchased for $30,000 at Keeneland in November 2007. As for Seoul, while Sports Seoul Trophy winner Meni Money was sent off the slight favorite, her 2nd place was creditable while Smart Time also ran well for 5th. The capital desperately needs to get a big race win over Busan but today once more, it was not to be. It wasn’t quite the fairytale ending to his Korean-career for Joe Fujii. Dangdae Cheonha showed towards the front early but faded to last in the home-straight. Masa Tanaka and Nobuyuki Oyama though guided the unfancied pair of Hot Commend and Purple Ocean to 4th and 6th respectively. The Oaks was run two months earlier this year in order to fit in to a new compressed Triple Crown schedule. That means the final leg, with the colts involved once more, is less than a month away. Janpung Parang will almost certainly stay the 2000M should connections choose to bring her up to Seoul for the Minister’s Cup next month.